We know it’s hard to know what to get everyone for Christmas, so we thought we’d help by making list of the Top Ten best Christmas Present ideas. All products on this page, over £300, are available on 0% Finance at Formby Cycles. So you know someone who’s into Trail Riding, BMX’ing or Downhill?Well why not buy them a GoPro camera, which they can attach to their helmet or bike, to capture their best (or worst!) moments. With 1080p and underwater functionality, their sure to have a great time with this piece of kit! Click Here to view our full range of GoPro Cameras. Formby Cycles have stock of Garmin Cycle Computers. We have a Demo Stand where you can try each one, to get the right one for your needs. When your friend or relative is out on a big ride, they definatley need something to point them in the right direction! A Garmin Cycle Computer can do just that. It’s rather hard to ride a bike without wheels, so why not buy the family cyclist-enthusiast a set of state-of-the-art Mavic Wheels. They are sure to be eye-catching, and will last for many many miles. The right wheels can make a huge difference to way a bike rides. It’s one of the key ways to drop the overall weight of your bike- by investing in some new wheels! A true essential for any keen cyclist. A turbo Trainer is great for keeping fit in the winter, or when it’s raining. But the TV in front of you, or stick some headphones in, and you can get a good hour of calorie burning exercise in! It’s also cost-effective, because instead of paying a fee for using the Gym, buy a turbo trainer, and you have that forever AND you can use your own bike AND you don’t have to travel anywhere!! CATEYE Computers are very useful. They can tell you your speed, how far you’ve travelled, your altitude and many more features. A CATEYE Computer would be the perfect Christmas Present for any Cycling Enthusiast. 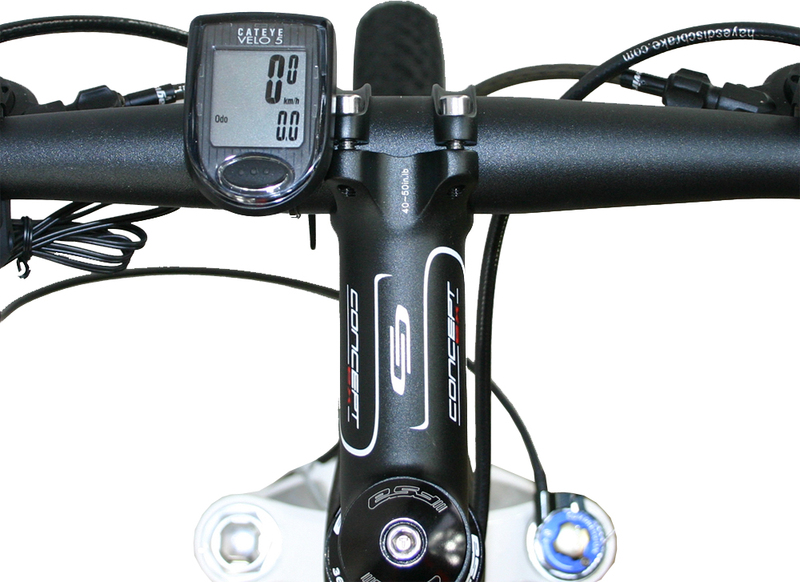 Our full range of CATEYE computers, consists of budget, entry level models to the elite training companions, which represent the apex of reliable cycling technology. When riding at night, or in poor weather conditions, everyone needs light! That’s why CatEye lights are so popular. A combination back of front and rear would make a fantastic Christmas Gift for anyone with a bike. CatEye are the leading company in Cycle Lights; they are always improving their products with new ideas. CatEye lights are easy to mount on your bike, and can be done within a few minutes. Every serious rider should own two pumps: a floor/track pump for regular inflation, and a frame/portable pump for the almost inevitable puncture while on the road or trail. You could make someone’s Christmas with a Specialized Track Pump. They are used in the workshop, here at Formby Cycles, and have a repuataion of high quality and reliability. The pump is small enough in diameter to reach high pressures for the road bikes, and also has a long stroke to ensure quick in?ation. The Specailized Airtool Pump also has a multi-valve head. Without having to switch anything around within the valve you can connect the pump to Schrader and Presta valves. At Formby Cycles, we stock many locks, this is beacuse they have become a necesity when out on a ride. Our main brand of locks is Abus. They are high qualiy, strong locks. They specialise in secuirty, which is why se stock them. Whether your child rides to school, or you have a keen cyclist in the family, a Cycle Lock is a great gift for anyone. We all know it’s fun to get your bike covered in mud, but that doesn’t mean to say that it should stay like that! It’s important to keep your bike clean when storing it, as the mud and dirt will ruin the components and eventually, the framework. 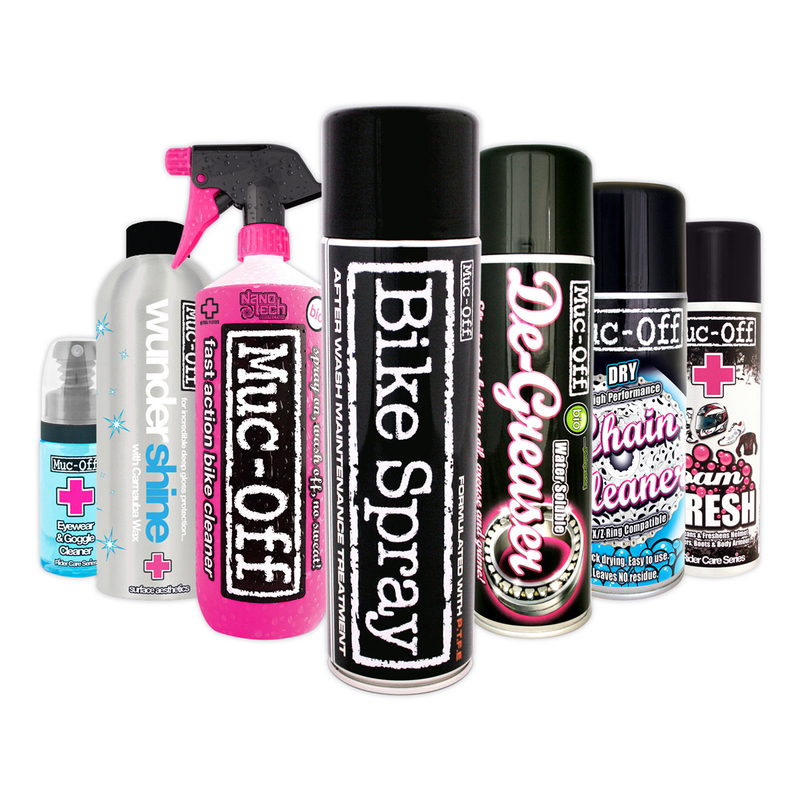 With this Muc Off cleaning kit, you can be sure to have a clean bike in no time. It is easy and convienient, and comes with everything you need. This Pack really does make a fantastic gift pack for anyone who’s proud of their bike. The Altura Neck Warmer is a great bit of kit. It has multiple uses including a hat, a balaclava, and neck wamer (obviously!) just to name a few). They are great a keeping you warm when out n the trails, and are made of a material which is breathable. This would be a great present for anyone into their outdoor sports, not just cycling!